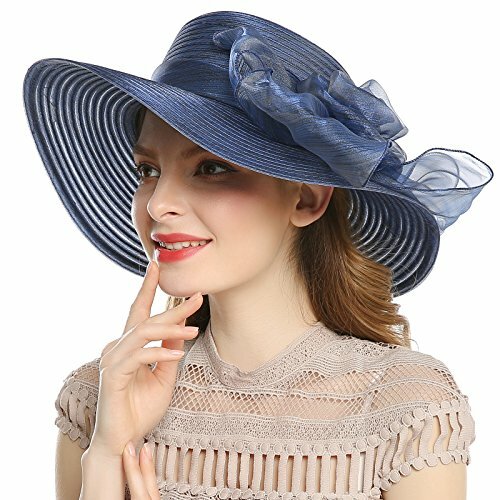 OCCASIONS :Elegant women sun hat for church / kentucky derby/cocktail party / wedding / tea party / outing travel /shopping/formal occassion/outdoor ,Unique design and high quality hats make you more elegant and charming. Quite nice soft in hand. UV-Anti,foldable,breathable and comfortable.